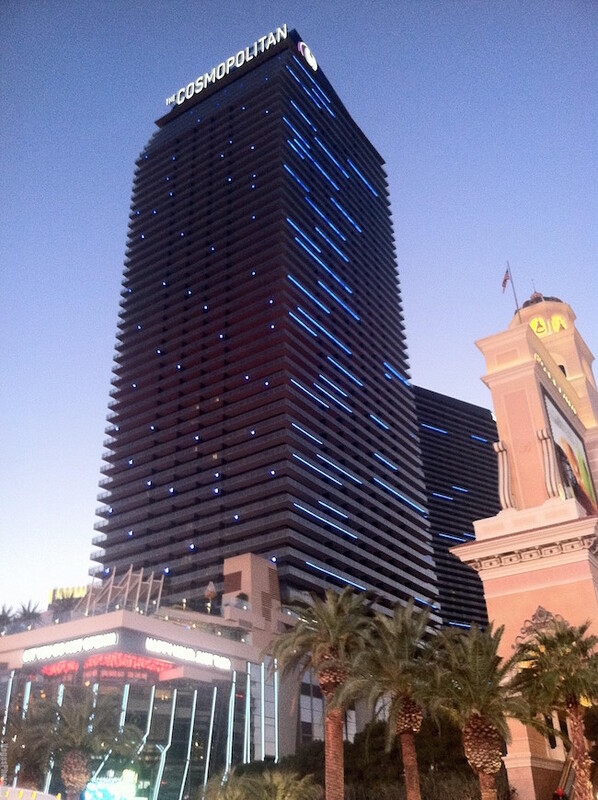 The Cosmopolitan of Las Vegas turned 5 years old this month. Time sure flies when you’re having fun. When the Cosmopolitan first opened the property had a different approach to marketing than all other Las Vegas hotels. Instead of marketing the property to the typical Las Vegas visitor they looked to a different and specific niche of traveller. They called this new market segment the “curious class” and marketed the property with “ just the right amount of wrong.” These new ideas brought in a unique base of customers but didn’t generate enough revenue to make a profit. Fast forward to 2014 where the owners of the Cosmopolitan were losing so much money that they were forced to sell the hotel. Blackstone Real Estate Partners purchased the hotel and swapped out leadership with Bill McBeath becoming the new CEO. He has a slightly more traditional approach to operating a casino than the previous CEO. His mentors in the casino business were Steve Wynn and Michael Gaughan, a couple of men that know a thing or two about operating casinos in Las Vegas. When Blackstone took over the property they planned to make a slew of renovations that would turn things around for the Cosmopolitan. Their first focus was giving the casino floor some life. They analyzed where they were generating money and where they weren’t. The least profitable slot machines in the southeast corner of the property have been removed and a brand new sports book is under construction. The 8,000 square foot sports book will include 23 video poker machines which McBeath tells the Las Vegas Review-Journal should make more money than the 120 slot machines that once occupied the space. This is a change of focus for the Cosmopolitan as they look to grow from just having the “curious class” customer to adding more traditional casino customers. You might say they’re inviting older casino customers to play at the casino. This is a departure from the rest of the casinos on the Vegas Strip who are trying to find the younger, millennial, casino customer. The Cosmopolitan has been marketing to millennials before being a millennial was a thing. Looking to add more affluent casino customers the Cosmopolitan will be adding a new High Limits slot room and expending their high limits Talon Room by 40%. Every inch of the property has been analyzed over the past year and this is just the beginning of the changes. New hotel rooms and suites have been made available for the first time and there will be new restaurant and lounge options. CliQue, a cocktail lounge, just opened in the center of the casino floor. Veteran visitors to the Cosmopolitan will remember this as the space that was formerly occupied by Book & Stage. New dining options include everything from an inexpensive breakfast sandwich to the finest of fine dining. Eggslut will occupy a 1,500 square foot space and bring its morning egg sandwiches to the Cosmo in 2016. Beauty & Essex is under construction in the space formerly occupied by Comme Ça. 2016 will also bring an ultra fine dining experience when London’s Japanese Restaurant Zuma opens on the 3rd floor. The most telling of all of the new additions to the property is that the Cosmopolitan will be opening a Starbucks with access from the Vegas Strip in 2016. This represents the opposite of the “curious class” the property was once focused on gaining as a customer. There are over 150 Starbucks in Las Vegas. This is far from unique. It’s also the third location inside the property to get coffee. That might be a bit much for such a small property. Make no mistake, the Cosmopolitan remains the beautiful casino it’s been since it opened 5 years ago. They’re not looking to switch out old customers for all new customers. Rather, they’re looking to expand their customer base by offering a variety of gaming and dining that might appeal to more people. I won’t have any problems as long as they don’t mess with Chandelier Bar.